Shocking video: Bulky coats can be deadly. Colder temperatures means bringing out the bulky coats so your child will be warm and toasty while traveling in a car seat. A recent segment on the Today show demonstrated how dangerous wearing a bulky coat in a car seat can be. NBC News Correspondent Jeff Rossen visited a crash test lab in Michigan. During the test, a crash dummy was wearing a puffy winter coat, which caused it to be inappropriately strapped in because of the coat’s bulk. The consequences are startling, even though the vehicle was traveling at just 30 mph. Miriam Manary, who operates the lab, says that removing a child’s bulky coat before strapping them in a car seat is the best way to keep them safe. You can keep your child warm with a blanket or by laying their coat over them – or both. Put the coat on your child, place them in the child seat and fasten the harness. Tighten the harness until you can no longer pinch any of the harness webbing with your thumb and forefinger. 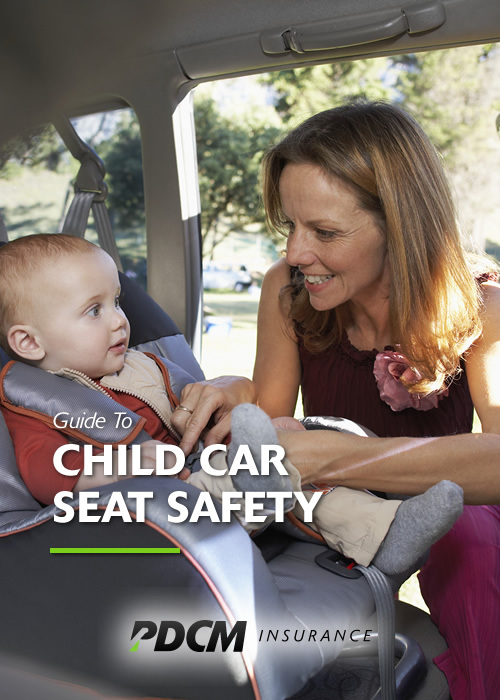 Now that you have a baseline, remove your child from the seat without loosening the harness. Remove your child’s coat, put your little one back in the car seat and buckle the harness straps, which are still adjusted to where they were when your child was wearing a coat. If you can pinch the webbing between your thumb and forefinger, the coat is too bulky to be worn under the harness. As the Today segment shows, a loose harness can lead to ejection during a crash. Surprising, huh? It takes less than four minutes to watch the Today show video, so if you haven’t watched it, do so now. What you see will stay with you much, much longer than four minutes and could help save the life of your little one. We’d love to hear from you. What are your thoughts on what you saw in the video? Did you know bulky coats can be dangerous to children in car seats? February 18, 2016 in Insurance News.